Improve Your Wellbeing & Longevity… Volunteer! Brandywine Hospital has volunteer opportunities throughout the hospital campus for both teens, ages 14 and up and adults. Areas that currently have volunteer opportunities include Human Resources, Emergency Department, Surgical Waiting, Information Desk, and more. For adults age 65 and older, the positive effect of volunteering on physical and mental health is due to the personal sense of accomplishment an individual gains from volunteer activities. Volunteering led to lower rates of depression among people 65 and older. People who volunteered after experiencing heart attacks reported decreased feelings of despair and depression – two factors linked to mortality in post-coronary artery disease patients. 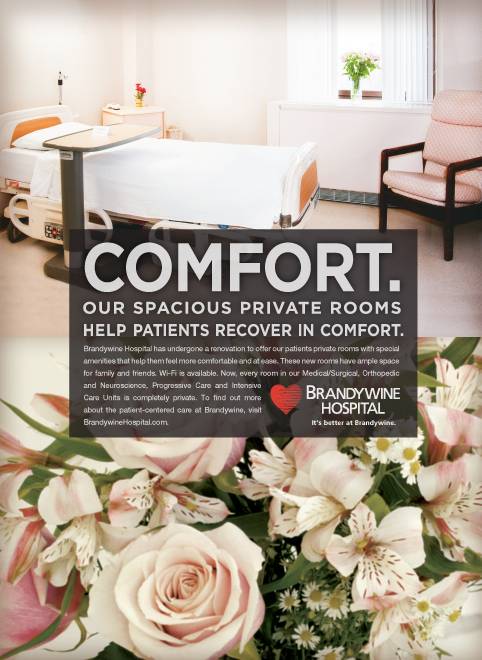 By being the first person a patient or a guest sees when they come to the hospital or spending time with patients who may not have many visitors, a volunteer has the opportunity to provide comfort and compassion, as well as set the tone for a patient or guest’s experience while in the hospital. When you volunteer doing something you love, the time will fly. And you’ll meet a variety of like-minded volunteers – soon-to-be friends. It’s almost guaranteed that when you help others, you will enjoy a greater sense of self-worth. Young adults volunteering have exposure to learn whether they’d like to pursue a medical career. Volunteering gives you a reason to wake up and get motivated. Young adults who volunteer will learn a great deal, and gain valuable experience. They can also include their service on their resume for future college applications and jobs. Fulfill course requirements while learning, meeting new friends and having fun! Your extra efforts to assist our healthcare team or help a patient or guest more comfortable can mean the world of difference to them. Experience the camaraderie of working with others on a common goal and sharing the reward of making a difference in another person’s life. Whether you’re a soon-to-be graduate, considering a career change, or enjoying retirement, volunteering with a team will enhance your life. At Brandywine Hospital, we love our volunteers! We respect their time and appreciate their giving of their talents.